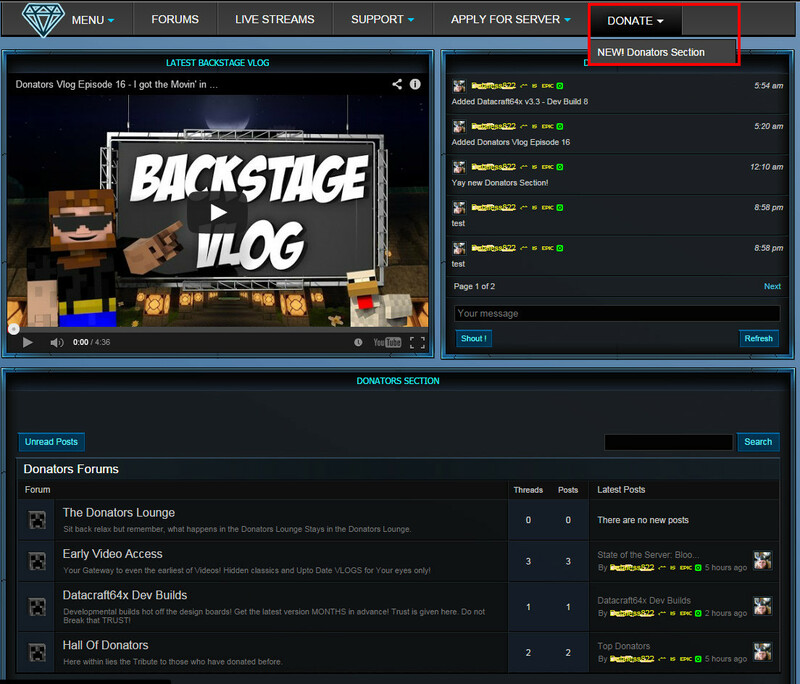 WELCOME TO THE DONATORS INFORMATION PAGE! Hey Guys. Thanks so much for taking the time to have a look around, Let me kick things off with a little bit of an intro into why I have the donators section on my website. For those of you who choose to stay and support me by purchasing a rank, THANK YOU so much I truly appreciate it! So lets get things started, I will try and leave as many simple steps as possible to help you find exactly what it is your donation gets you and how to make your donation if that's what you choose to do. This also grants you an Orange Sparkling name on the forums to let everyone know you supported me, and I Thank you again for that! Before you go any further! To make things SO much easier. Please make sure you are a REGISTERED ( you must click your verification email) member and signed into www.dataless822.net before donating! If you do not receive your Donator Tag within 24 Hours, please contact the Dataless822 Team Here. Abuse of the Site Rules and Donator Rank Rules (available after you have purchased a rank) will result in removal of Donator Rank. No Refunds.